The company has topped the list of trusted ICO listing sites, and this has ensured that you invest your money in reputable companies. Here are reasons why you should settle for our reviews over the others in the market. The crypto market is still in its infancy stages, and most people have trouble seeing through the teething problems in the market. This has curtailed the growth of the industry, and so investments in the sector have remained minimal. ICO Weblist has some of the most experienced crypto analysts that you can rely on for professional advice whenever you need it. We undertake rigorous research of the companies issuing initial coin offerings, and you can trust that the information posted on our site is accurate. Our analysts are the best in the industry, and they go to great lengths to give fact-based ICO reviews and listings. The lack of enough information about ICOs have many people confused, and this has forced people to look for information without much success. 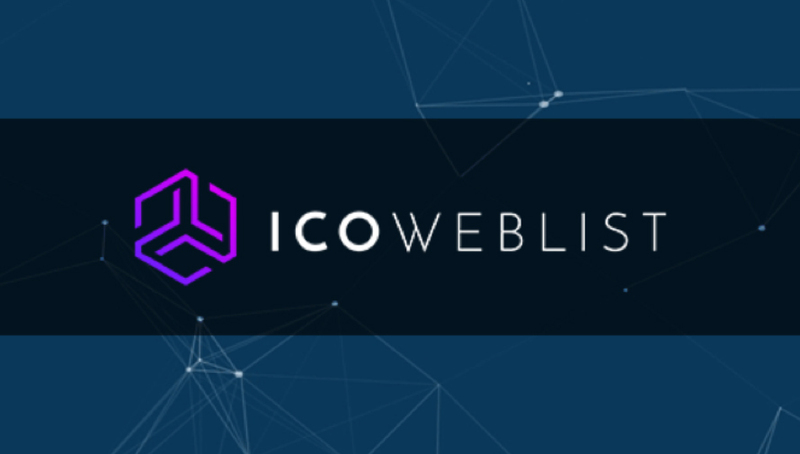 ICOWebList available as web and smartphone applications that are easy to use and navigate allowing you easy navigation and quick access to the ICOs that tick your fancy. We have timers on each ICOs that outline when each of them will expire, and you can make appropriate investment choices. Our analysts also give their best review of the ICOs, as well as a review of the company issuing the ICO and the team behind it. Each of the listings is backed up by links that direct you to the relevant pages on the company website and documentation. This ensures that you can easily make comparisons between our information and that of the company. More so, the site is not only for investors only, it has a section where crypto companies can submit their ICOs for review. With each passing day, there are more than ten ICOs floated in the crypto market and we have made it easier for you to make the right investment choices. White papers can be tiring to read, and some are full of jargon that demotivates many would-be investors. Our analysts spend countless hours per week reviewing the documents on your behalf and issue unbiased reviews of the ICO. We have grouped our reviews in industry categories, and you can find all the recently added ICOs, as well as those that are about to end, and the best performing ICOs. Each ICO on the site is ranked on a scale of 1 to 5, and the score is based on a case-by-case assessment. We look at regional regulation, coin’s sector growth potential, coin’s competition among other factors. We have three premium listings; Gold, Silver, and bronze with Gold being the best, and Bronze the least favorable. If you have submitted an ICO for review, our analysts will take their time to browse through the available documentation and have an unbiased review within 24 hours. While other companies promise a review in a matter of minutes, you can rest easy knowing that we have done all the research to ascertain your figures and concepts and this helps you get the most investors who are equally passionate about your cause. We have in the past seen many people get the wrong information about ICOs when fake reviews are posted. There is also the risk of data manipulation, and in so doing, some ICOs are hyped up for all the wrong reasons. To avert this, we use blockchain technology and artificial intelligence to avoid data manipulation, and we bank on consumer-generated reviews. We also incorporate artificial intelligence to provide top-tier market research and generate high-quality feedback by removing the middlemen that are notorious in the manipulation of data. More so, we reward your time by answering market research surveys and writing comprehensive online reviews. We have demographic filters that skim through the documents and in so doing, help you find verified information that is relevant in our client’s quest to find actionable information. We have one of the most intelligent and trusted company-user feedback loops and to sweeten the deal; you can earn tokens by generating and engaging with our reviews. We have a smart recommendation system that allows our users to find the best ICOs in the least amount of time possible. We have web and smartphone applications where users can browse, create, as well as validate reviews and fill out crypto surveys. One of the reasons why you should participate in the polls is to create a fully-functional market feedback loop that will give factual data for use by crypto investors as well as the companies offering the ICO. The ICOWeblist is powered by Review. The network which is a consumer-generated online review platform that uses advanced data science tools, artificial intelligence, blockchain technology. We aim to rebuild trust in online communities and empower users to earn from their data when they share their online reviews. With ICOWebList, users can find information on ICOs faster, and companies can get unbiased reviews of their ICOs and receive the appropriate rating. Delta Exchange – #TradersFirst Crypto Futures ExchangeWhat is Chaincreator, How it can solve the problems of the ICO Industry?